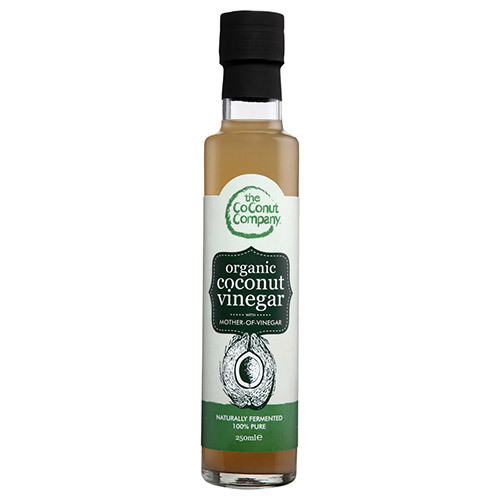 The Coconut Company Organic Coconut Vinegar - Mother-of-Vinegar contains a naturally forming living mixture of good bacteria and enzymes. Contains vitamins B and C as well as an abundance of minerals and amino acids. Superior to processed vinegar. Derived from the raw sap of the coconut blossom and naturally fermented for a minimum of 10 months without adulteration. 100% natural, 0% preservatives. An excellent ingredient for cooking, dipping, marinating, pickling, as a salad dressing, health tonic and a delectable component for many sauces. Shake well before use. Below are reviews of The Coconut Company Coconut Vinegar - Mother - 250ml by bodykind customers. If you have tried this product we'd love to hear what you think so please leave a review.